Do you know why Donald Trump is one of the most successful and motivational character in our time? Donald Trump, whether you like him or not is a man that is hard to ignore. And whether you agree with his philosophies or not, you have to admit that the man has had a great deal of success in a variety of arenas. He has had a long career as an entrepreneur, entertainer, real-estate mogul, author, and now as an aspiring politician! Donald has had an incredible level of success and also his fair share of failures. This book details his life's biggest successes, failures, and most incredible stories and experiences. You will be given an insight into one of the world's most powerful and widely recognised men and how he was able to get to the position he is currently in. You will learn the greatest life lessons that can be taught from Donald's experiences. No matter what area you'd like to be successful in, you need to learn from other successful people. Donald Trump can definitely be classified as successful, and has become so in his own interesting and unique way. 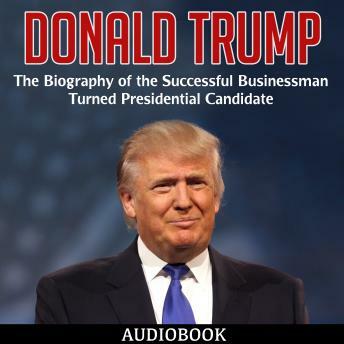 This book will help you to learn and understand more about what makes Donald tick, and also will help you to grow and improve from the lessons that Trump's life and experiences provide.